Today’s Gospel embodies God’s message to the world. The Parable of the Prodigal Son shows us the longing of the Holy Trinity for the repentance of mankind. According to the Fathers of the Church, if the whole Gospel were to be lost, except this Parable, it would be possible for us not only to recreate the complete teachings of Christianity, but also to emphαsise the love of God for mankind. It is natural for youngsters, when they grow up, to want to be independent. They no longer want any authority over them. They try by any means to be free, without always considering the consequences of their actions. Today’s Parable tells us the story of a young man. Υoung people because of their age, their problems and their questions concerning the truth often feel an urgent need to satisfy their spiritual longings and to fill the empty spaces they feel in themselves. Their endeavour is very praiseworthy. But the question is: Do they search for the truth in the right place? When we search for God, do we go to the right people to guide us to Him? There are many who preach in the name of Christ and churches spring up every­where. But, the question is, are they preaching correctly and which is the true Church? In this country we have many different churches, all claiming to teach in the name οf Christ, and all claiming to be the true Church. The question is: Which of all of these churches embodies the truth? The Truth is One and not many. Ιn the same way the Church is One and not many. If we accept the multiplicity of churches, then automatically we accept that salvation can come through any heretical teaching. 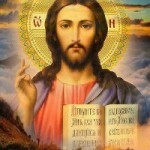 Christ came into the world to teach us One Truth, that is to say the true knowledge of God in the Holy Trinity. The quest for truth of young people is embodied in the son of today’s Parable. He is the symbol of their longing for freedom from all parental restraint. The father symbolises love, concern, moral principles and the ideal of the family. In the personal life of each one of us, the agony of the prodigal son is reflected. We all long for the true knowledge of God. Young people, because they wish to be independent, often insist upon following their own way, but in fact they are wide off the mark. The Prodigal Son suffered the same illusion. He lived prodigally “squandering his property in loose living” (Luke l5: l3). This means that he threw to the dogs every ideal, every virtue and all his family ties. Without thinking, he followed blindly those who tempted him to live in this way. Today, in this country, how many young people, influenced by other young people, are led astray? How many young people find themselves approached by others who claim to preach the truth, but, who in fact lead them far away from the True Faith? The answer to this question is given by our Lord Himself, Who said, “and many false prophets will arise and lead many astray” (Matt. 24:11). And elsewhere in the Gospel He warns us saying, “then, if anyone says to you, ‘Look, here is the Christ!’ or ‘Look, there he is!’ do not believe for false christs and false prophets will arise and show signs and wonders, to lead astray, if possible, the elect” (Mark l3:21-22). Today, we can see these prophetical words of Christ fulfilled. Everyone has the right to talk about Christ, but no one has the right to teach what he likes or to interpret the Scriptures as he pleases, to his own advantage. If they want to teach about Christ or to interpret the Scriptures, they have to learn to do it correctly. Orthodoxy does not criticise people for wanting to learn about the truth. The Orthodox Church loves mankind and wants its salvation. For this reason Christ came to teach us the truth and to lead us back to the house of God our Father. St. Gregory the Theologian teaches us that “it matters not only that you preach Christ, but how you preach Him.” When we preach the truth to satisfy our selfishness, it ceases to be the truth and becomes a lie. When we fail to interpret faith correctly, it becomes heresy and heresy means to be far away from the truth. 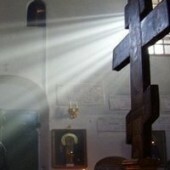 Orthodoxy means true opinion, that is to say the true teachings of Christian Faith. 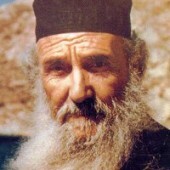 Orthodoxy is based on the original teaching of Christ and His Disciples. 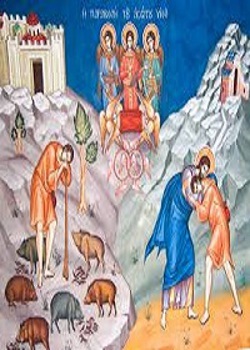 Orthodoxy has always had the aim of guiding every “prodigal son” back to the true faith in Jesus Christ. Whoever, isolated from the Bible and the Holy Tradition, tries to interpret the Faith in Christ, ends in heresy. This comes about because he relies on himself and his own ability and not on God. “First of all you must understand this, that no prophecy of scripture is a matter of one’s own interpretation, because no prophecy ever came by the impulse of man, but men moved by the Holy Spirit spoke from God” (2 Peter 1:20). Orthodoxy is self-knowledge. The Prodigal Son “came to himself” and recognising his mistakes returned to his father’s house asking for mercy and saying: “Father, Ι have sinned against heaven and before you; Ι am no longer worthy to be called your son. Treat me as one of your hired servants” (Luke l5:l8-l9). In this way he abandoned the lie that his life had become and returned to the truth. He abandoned vice and adopted virtue. Foresaking heresy he returned to the true knowledge of God. The Orthodox Church is the only one which didn’t deviate from the truth. She remained faithful; and will remain faithful to the true teachings of Christ. History proves which Church is the true one. 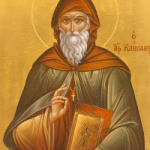 Whoever wishes to search for the truth, and Scripture encourages us to search, will find it in the Orthodox Church. It is our duty not only to know our Faith, but to practice it. We must not only know what Christ said, but must do as He commanded. Before his Ascension He said: “Go therefore and make disciples of all nations, baptising them in the name of the Father and of the Son and of the Holy Spirit, teaching them to observe all that Ι have commanded you” (Matt. 28:19-20). In teaching us “to observe all that Ι have commanded you” (Matt. 28:20), our Lord meant that we were to accept knowledge of God in the true way. Salvation is given only in God who is the Truth. The Truth is found only there where it is given according to the original teaching of our Lord and His Disciples. 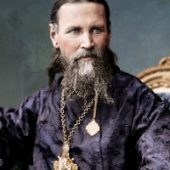 For any man wishing for salvation, Orthodoxy is the way. 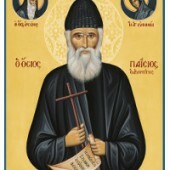 Orthodox not only teaches the way of salvation, but gives the means to accomplish it. 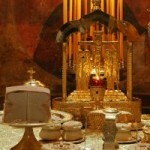 Orthodoxy has two sources, the Holy Bible and the Holy Tradition. Should any one deny either of these two sources he will fall into heresy. Man, wishing for salvation, has an obligation to search for truth. The Orthodox Church respects absolutely man’s freedom. 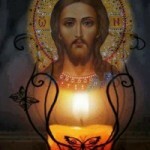 Μy beloved brothers and sisters, in the period in which we live, we have so many means to learn about the true faith. We have the opportunity to search. Christ has commanded us to search. 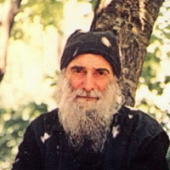 In the Orthodox Church man will discover the true meaning of life, which is to be a son of God and also the final aim of life, which is to be holy, even as His Father in heaven is holy. If we want to succeed in this aim, we have to do only two things. First we must have faith and trust in Christ. Secondly, we must fulfil His commandments by loving one another and forgiving one another. In this way we prove that we have returned to the house of the Father. Μy beloved brothers and sisters, today’ s gospel teaches us of one who returned. May it encourage us to strive with brotherly love for the return to the truth of those who were Orthodox, but who have gone astray. May it also inspire us to know the depths of our Faith. Ι pray that the Grace of our Lord Jesus Christ will strengthen us all in the struggle for the truth, and will enable us to be the true light of this country, according to His word: “Ύου are the light of the world. Α city set on a hill cannot be hid. Νor do men light a lamp and put it under a bushel, but on a stand, and it gives light to all in the house. Let your light so shine before men, that they may see your good works and give glory to Υour Father who is in heaven” (Matt. 5:l4-l6).